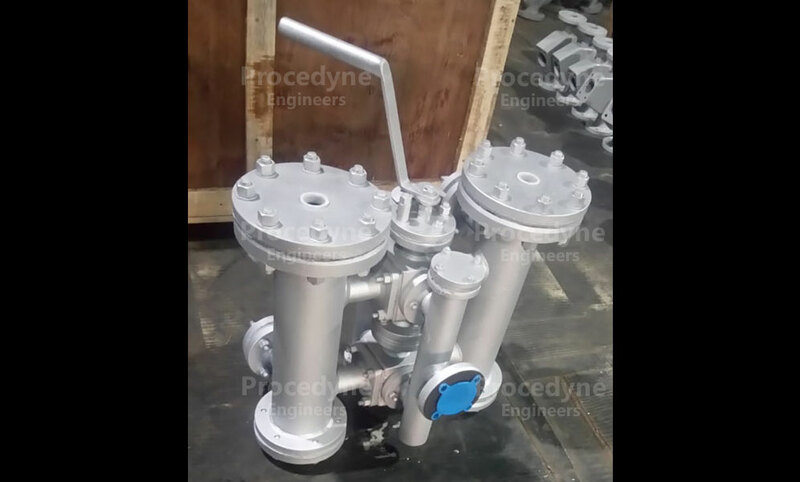 10" Skid Mounted Automatic Duplex Self Cleaning Strainer 600# in Carbon Steel for Gas Oil Application for Conversion of Gas Turbine to Combined Cycle Plant Project for MEW Kuwait. 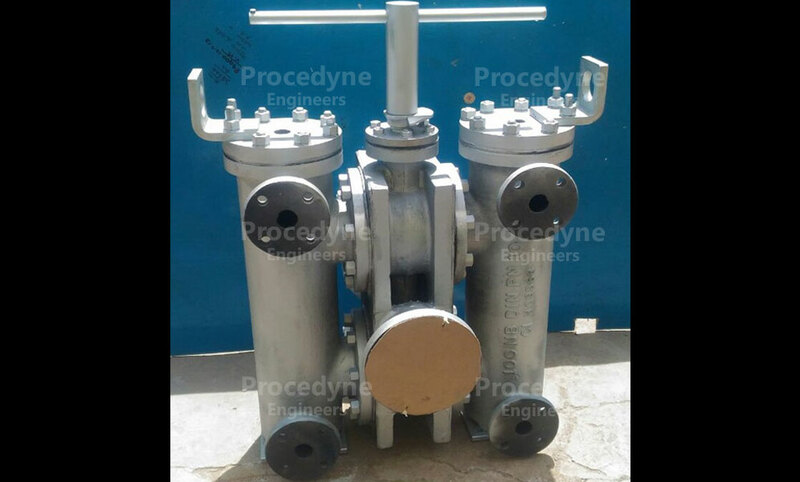 6" Duplex Strainer 300# with Integral Changeover Single Operated Valve in Super Suplex Stainless Steel Construction for Oily Water /Crude Oil Application for KOC Project, Kuwait. 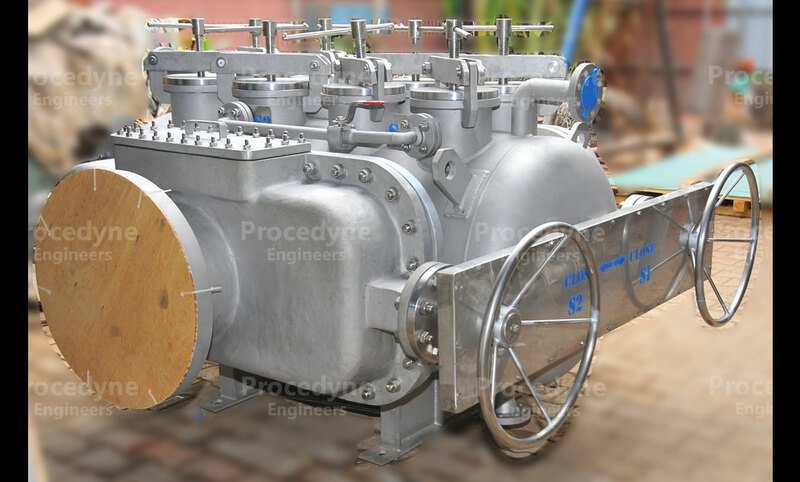 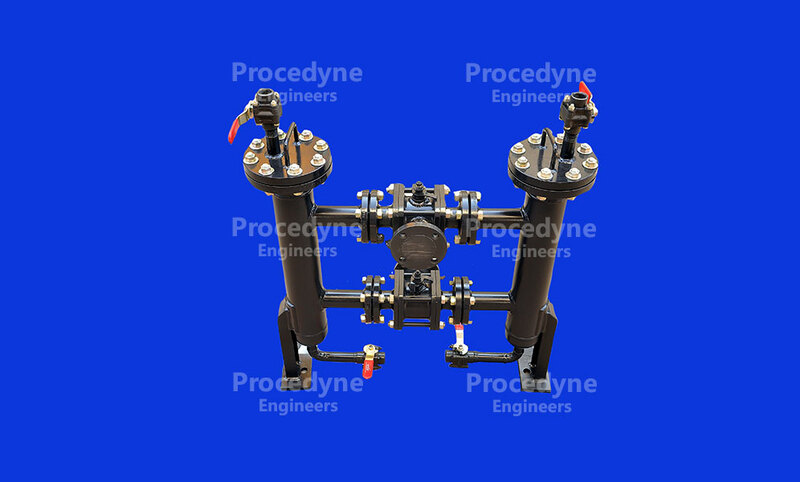 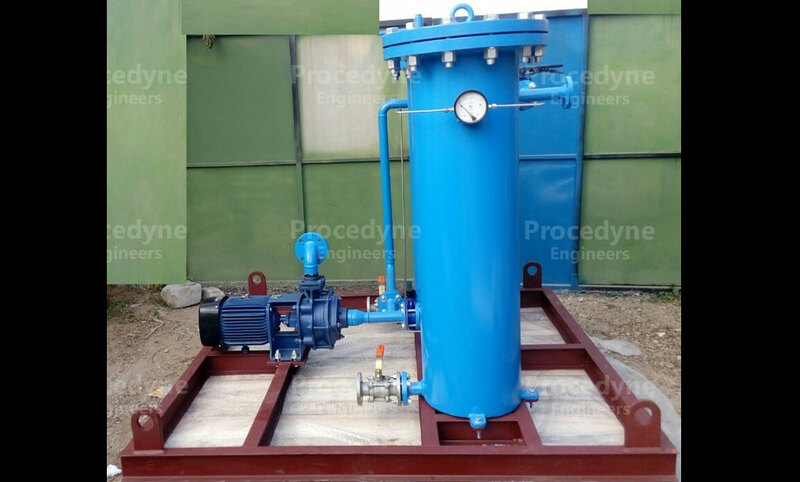 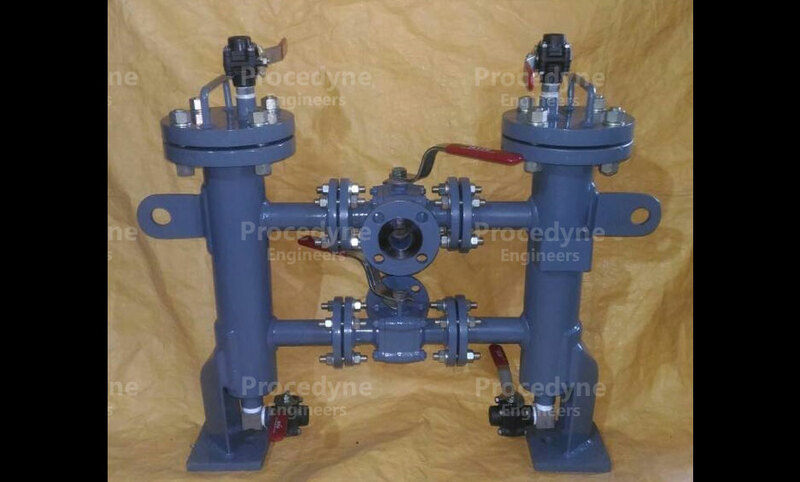 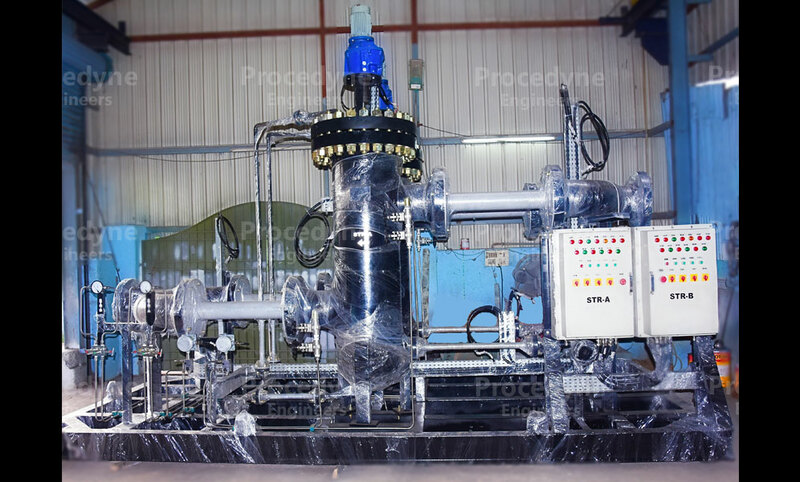 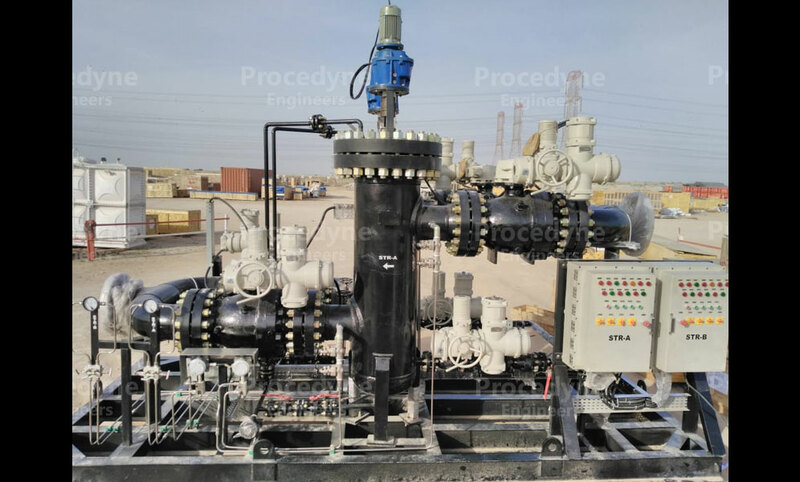 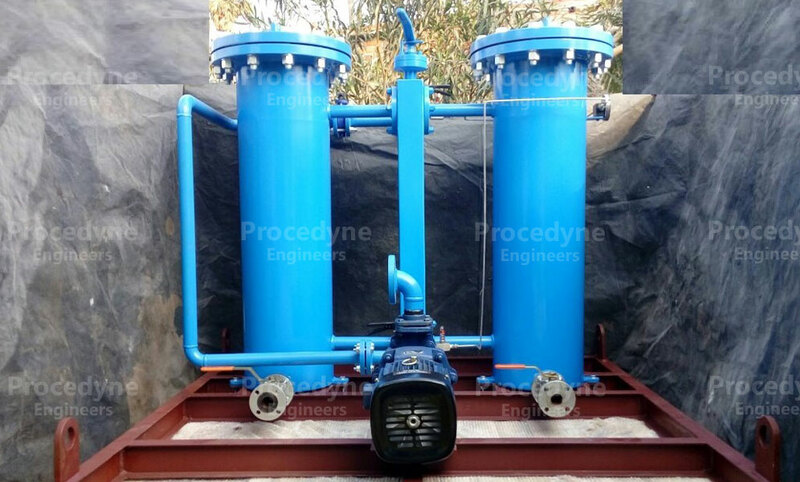 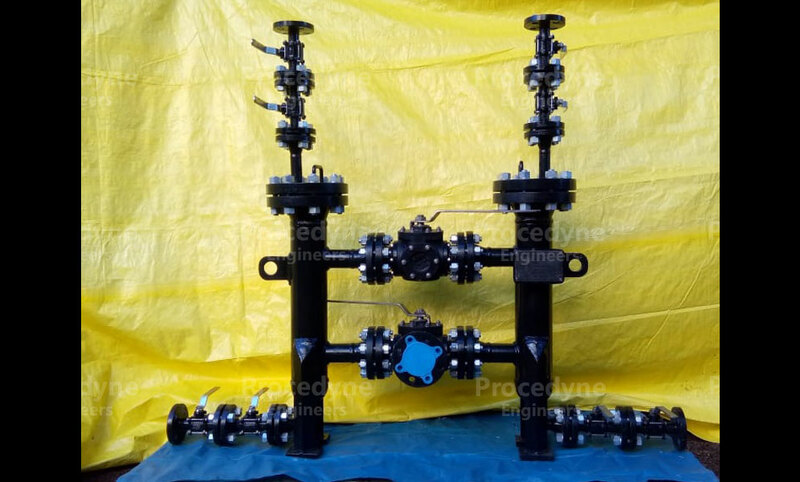 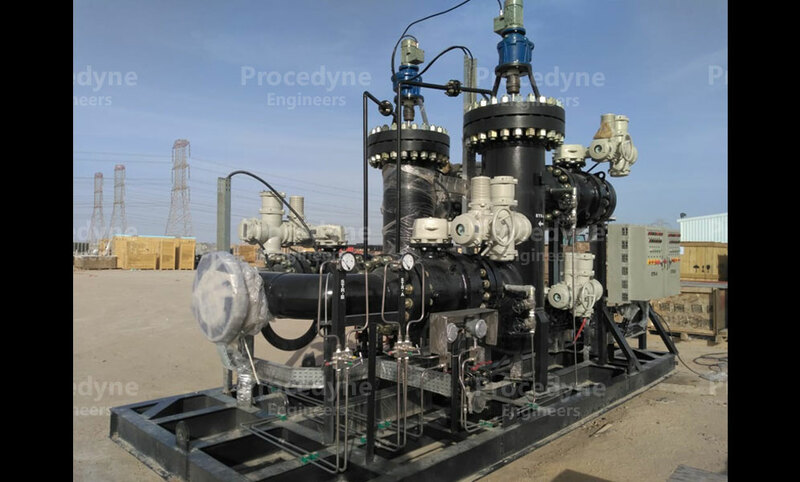 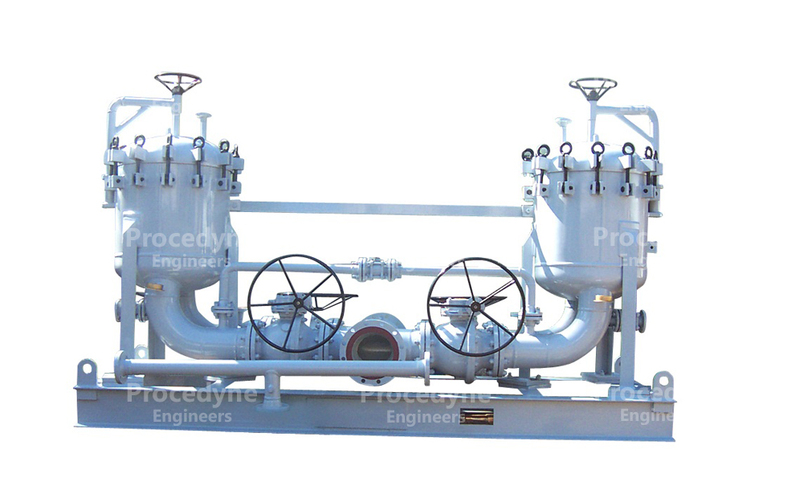 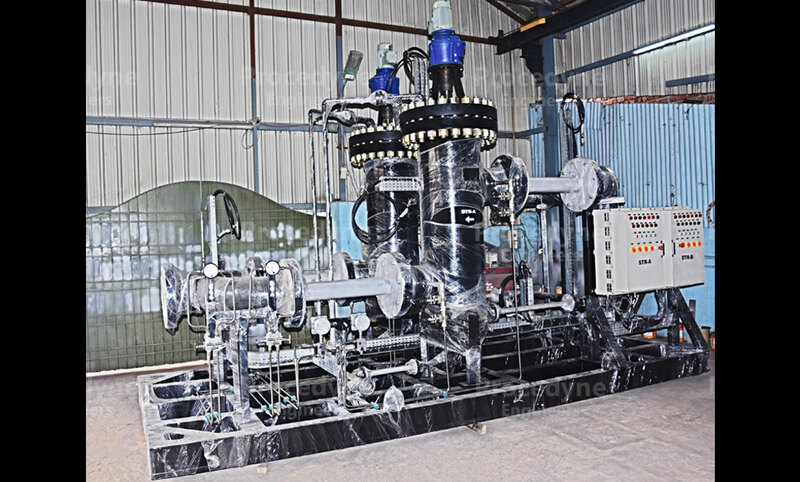 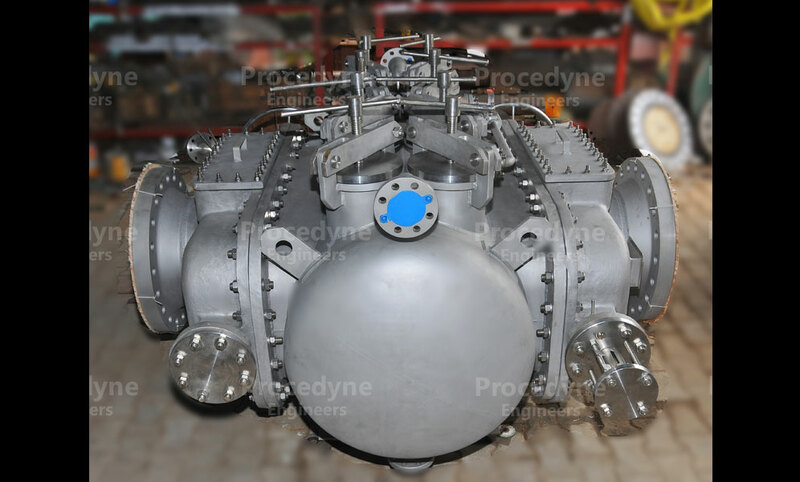 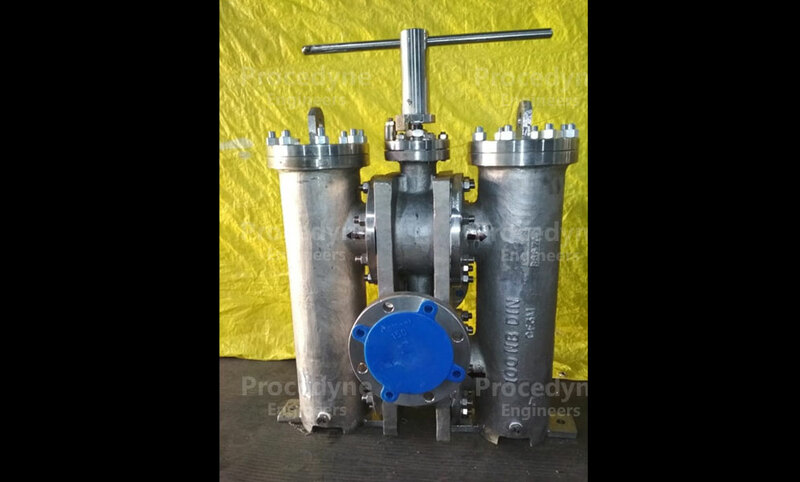 16" Duplex Strainer 300# with Integral Changeover Single Operated Valve in Super Suplex Stainless Steel Construction for Oily Water /Crude Oil Application for KOC Project, Kuwait. 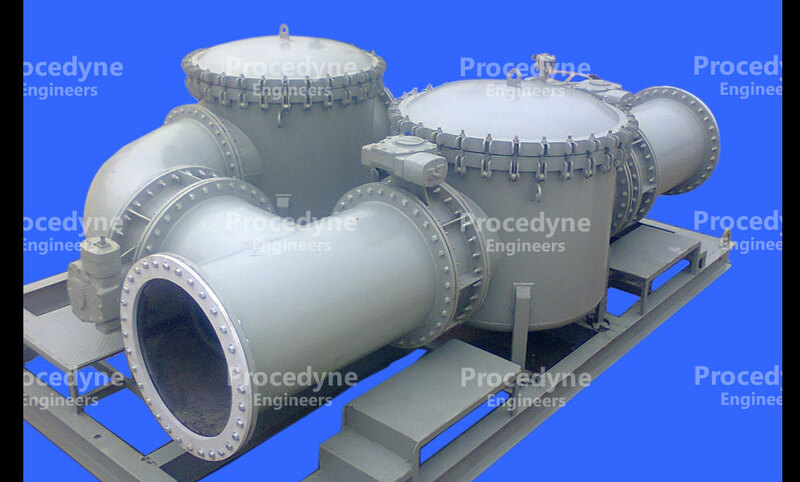 10" Duplex Strainer 150# in Carbon Steel for Potable Water Application for District Cooling Project in Qatar. 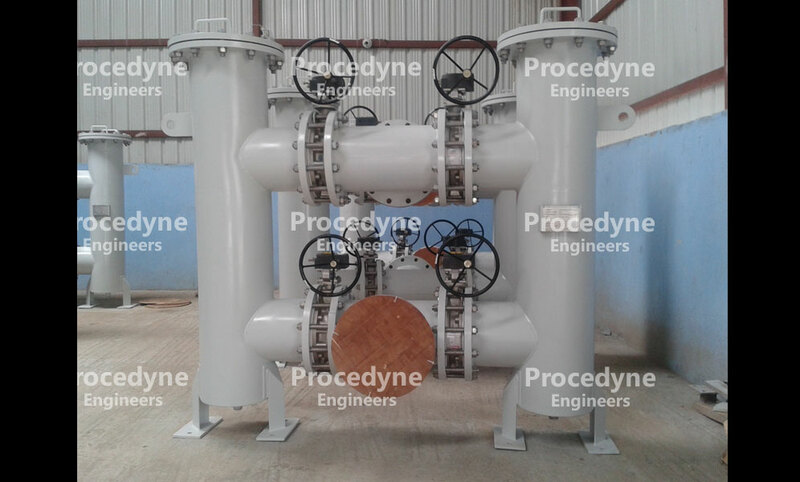 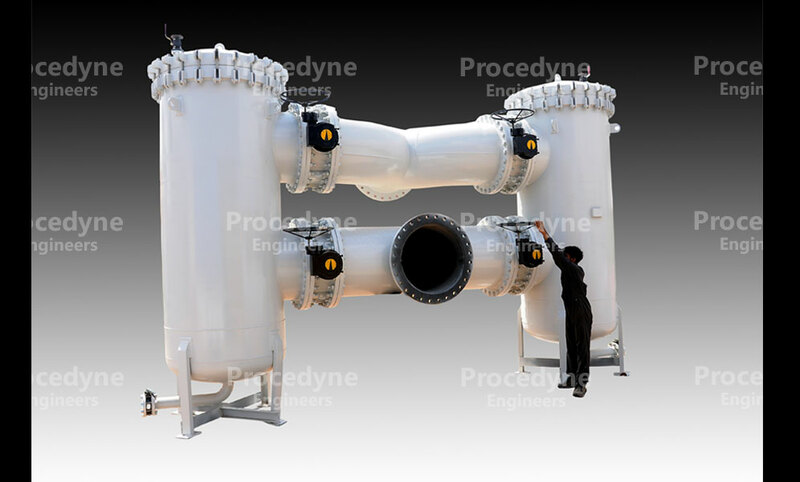 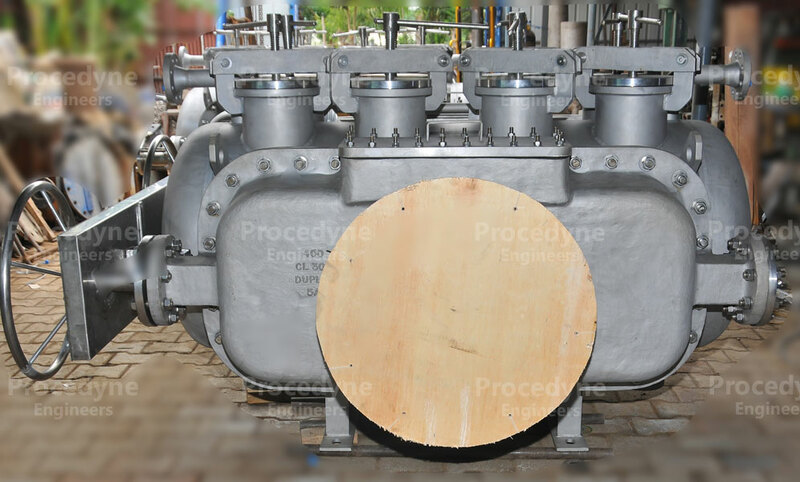 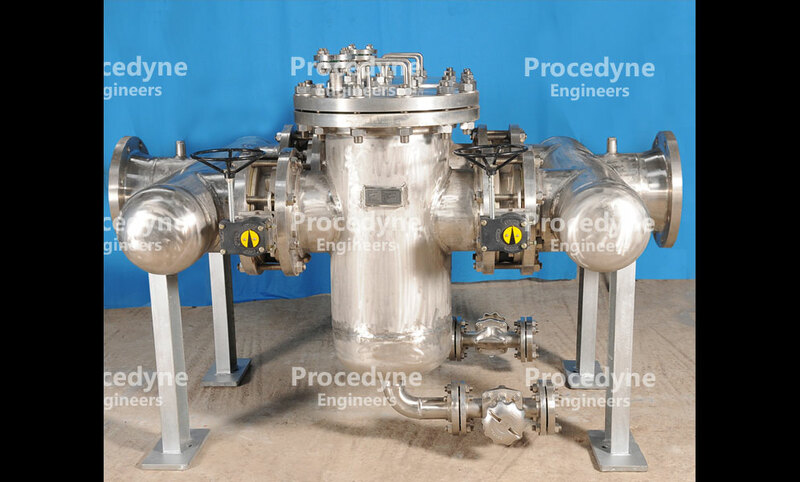 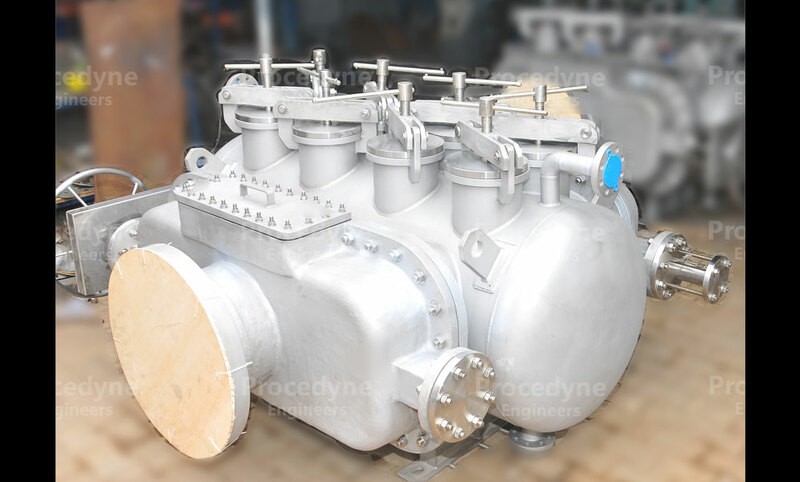 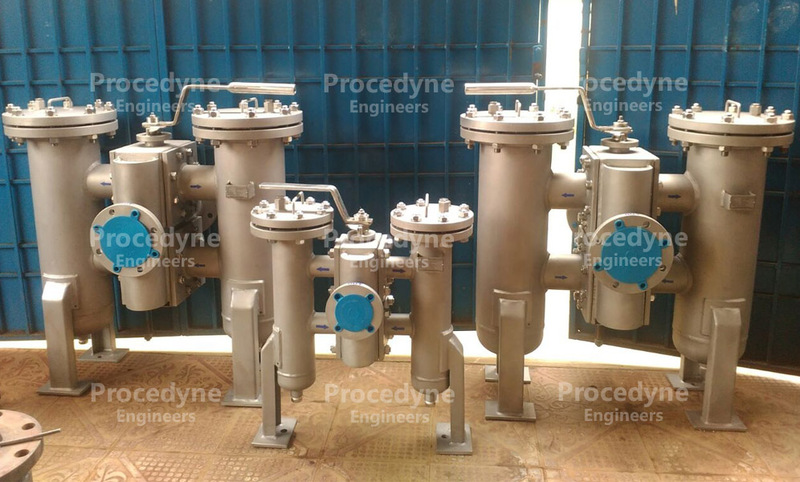 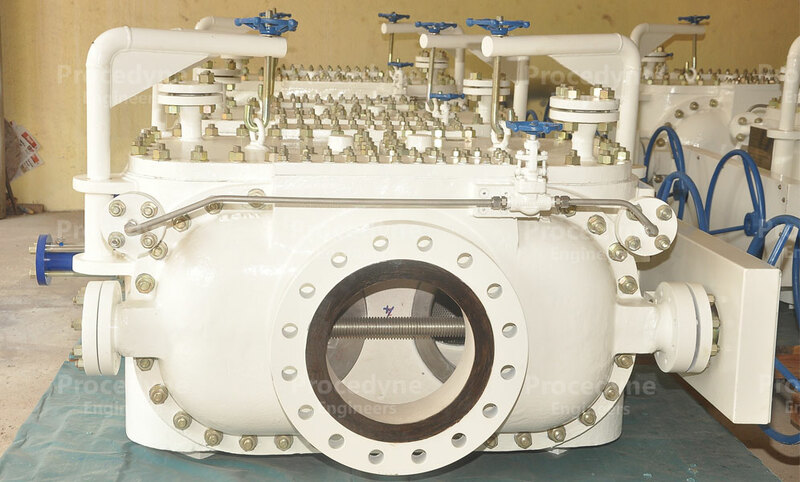 2" Duplex Strainers 150# in Duplex Stainless Steel for Sea Water Application for 1x800 MW Power Plant for TANGEDCO, Tamilnadu, India. 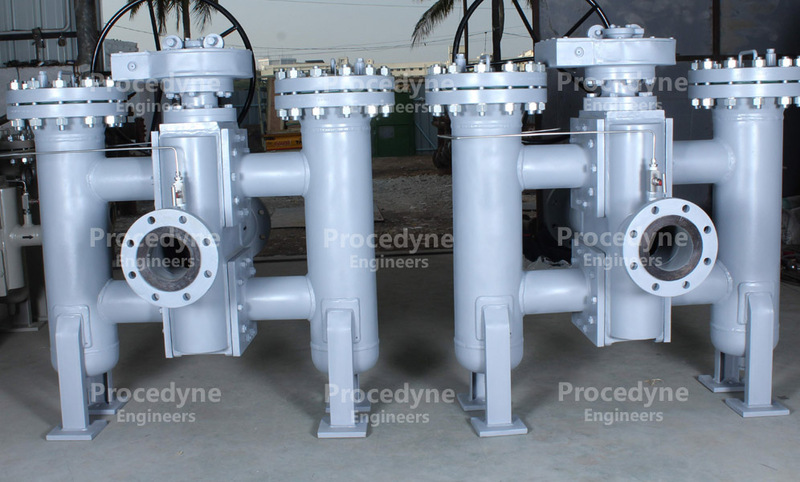 2" Duplex Strainer 150# in Carbon Steel for Gas Oil Application for 750 MW Power Paint for MEW Kuwait. 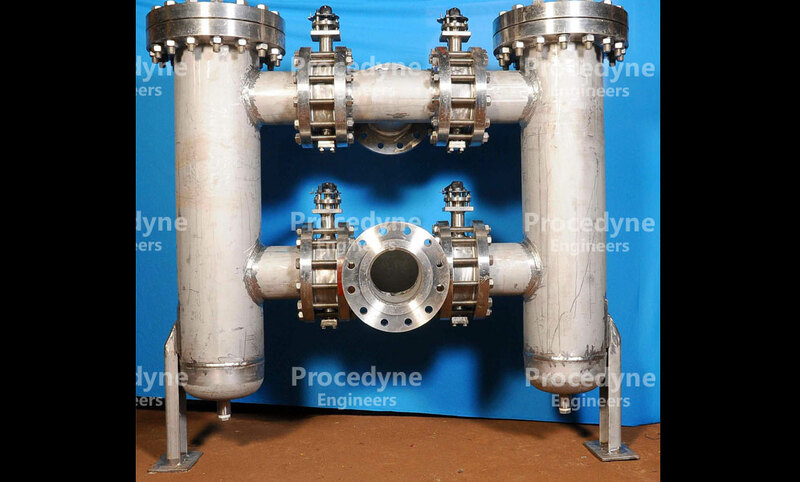 4" Duplex Strainer 150# in Stainless Steel for DM Water Application for 750 MW Power Plant for MEW Kuwait. 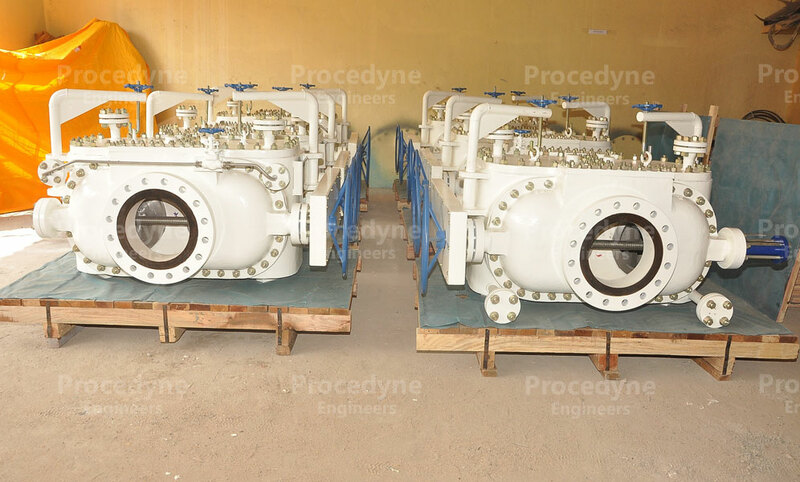 4" Duplex Strainer 150# in Cast Stainless Steel for Phosphoric Acid Solution for KOC GC 32 Project, Kuwait. 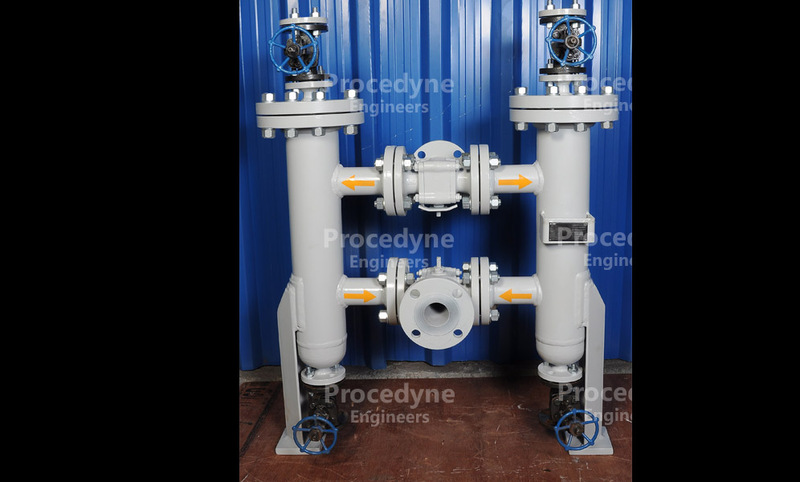 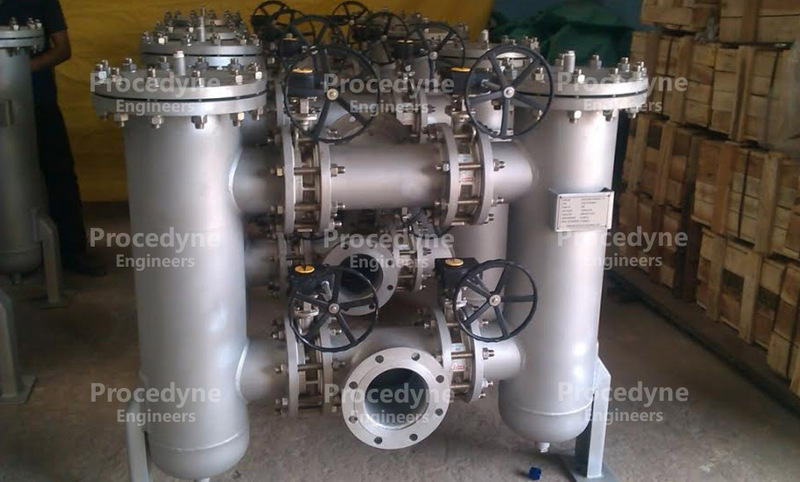 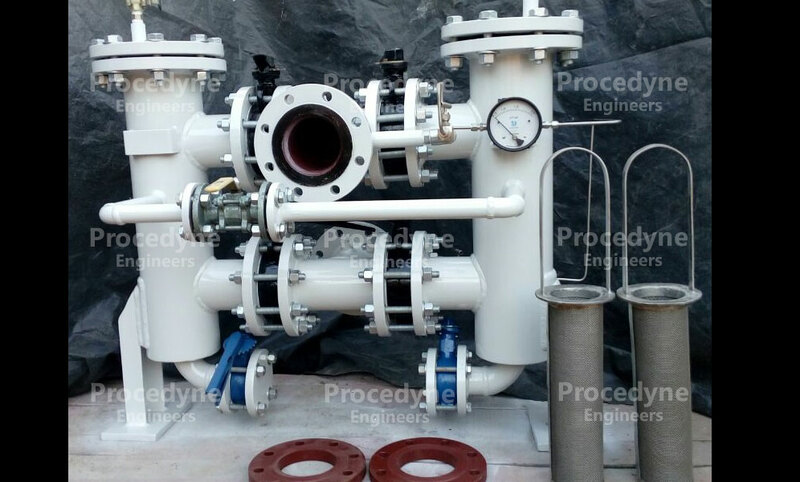 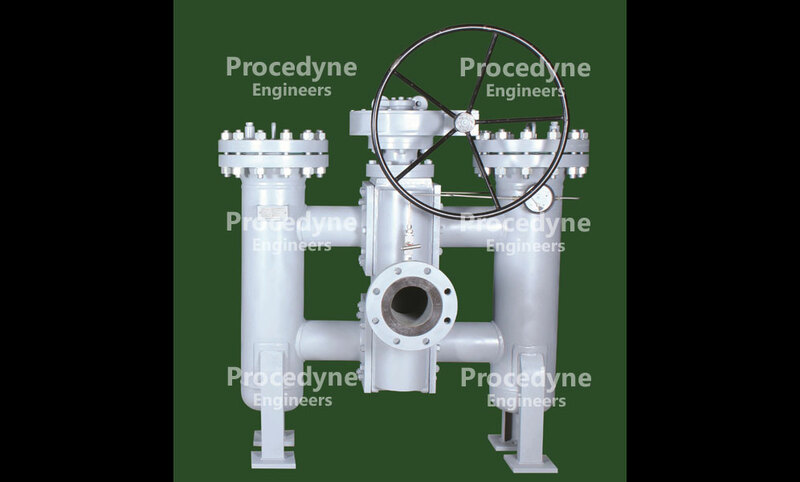 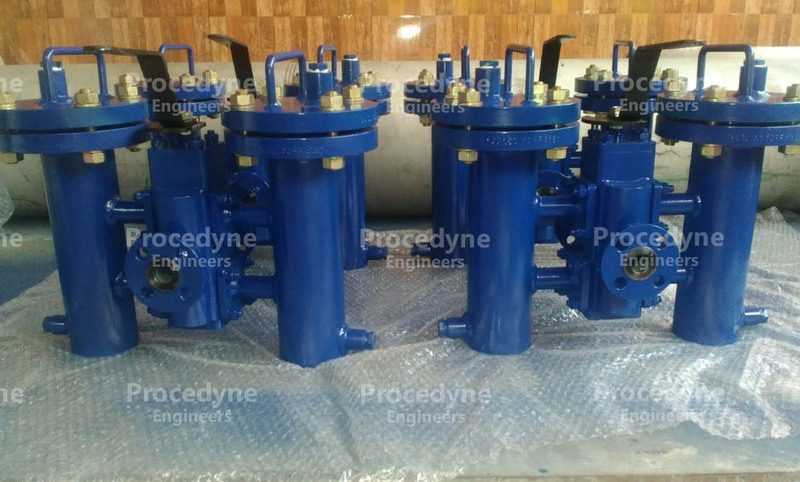 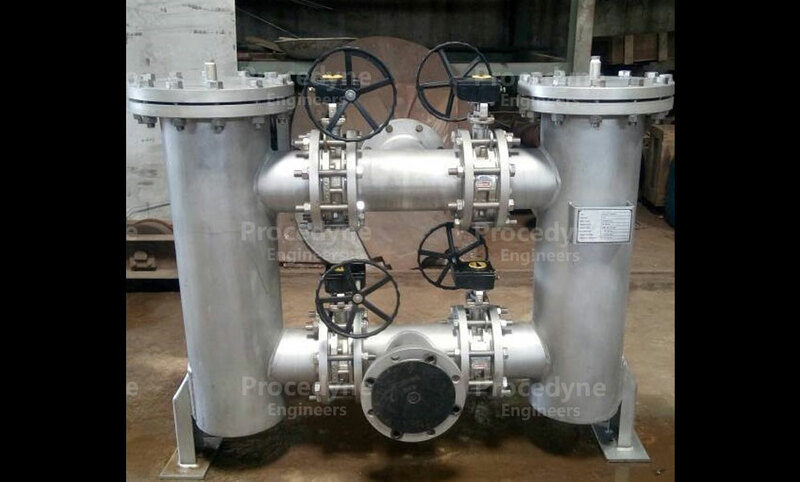 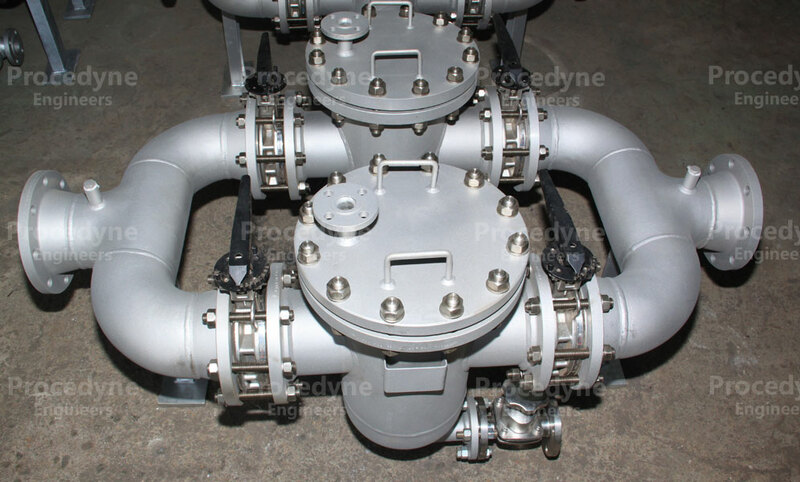 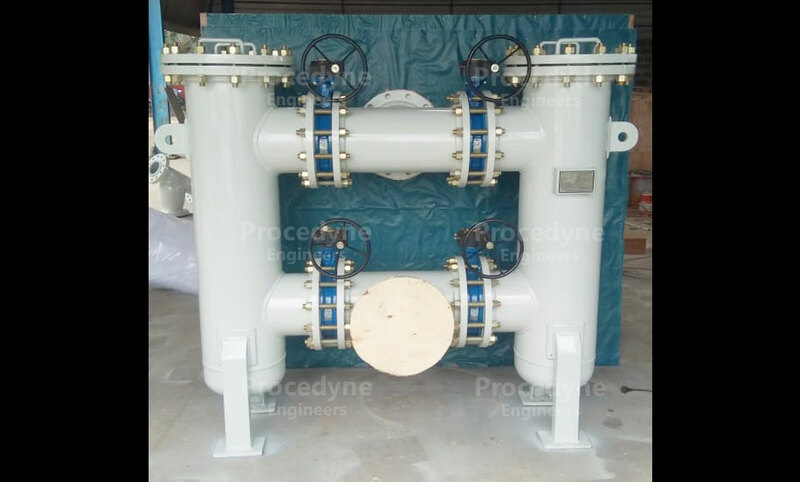 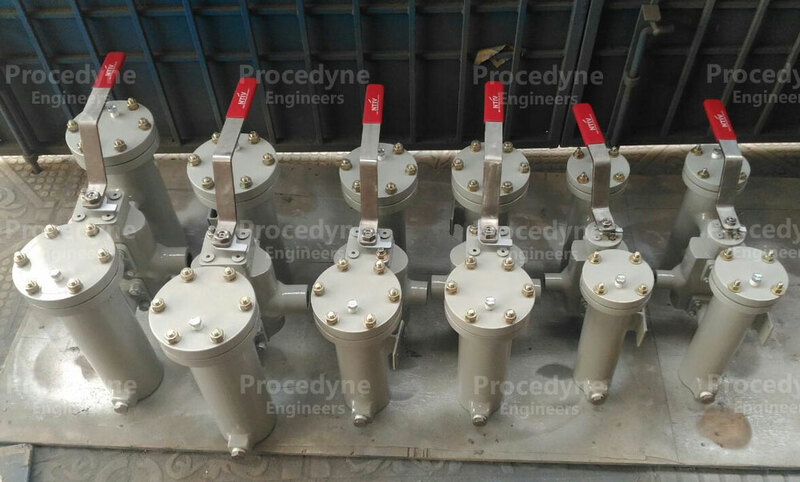 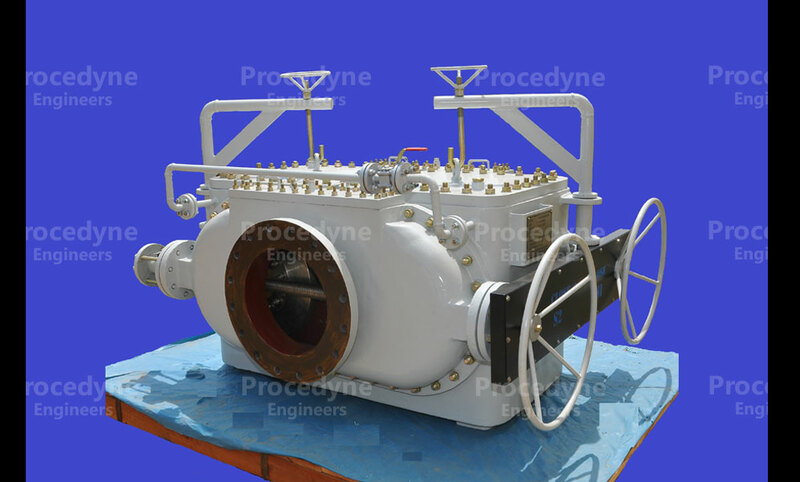 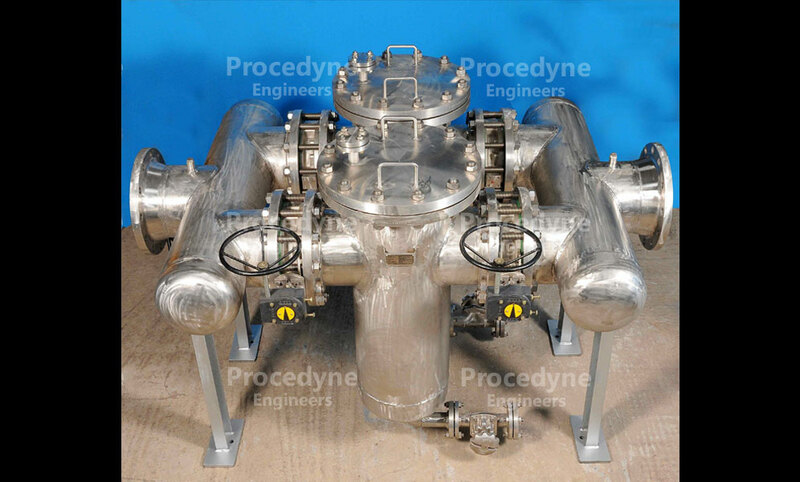 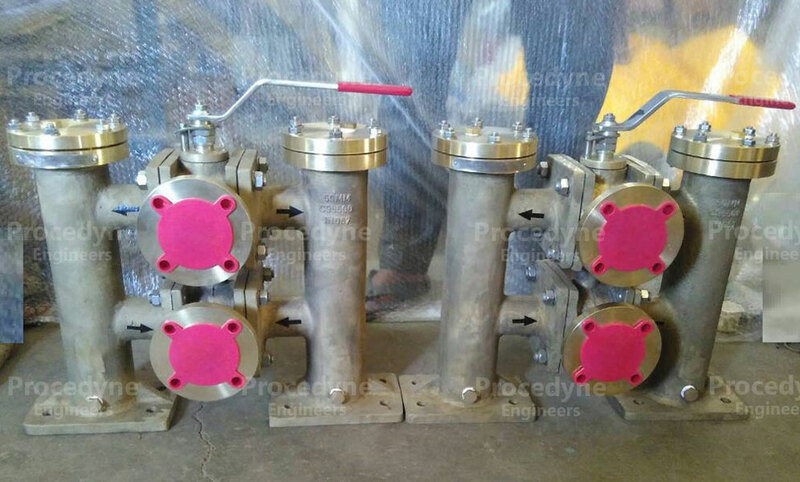 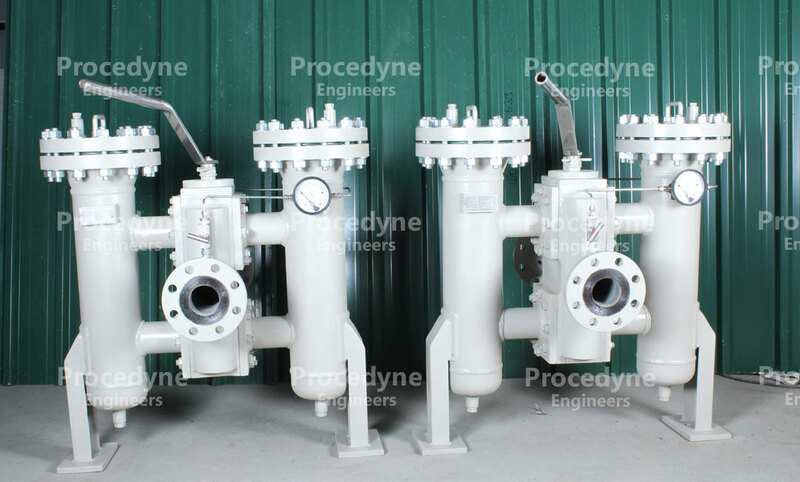 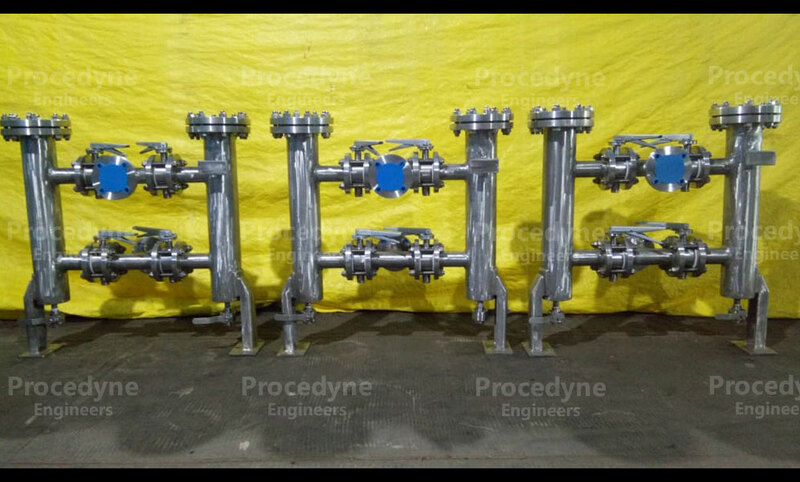 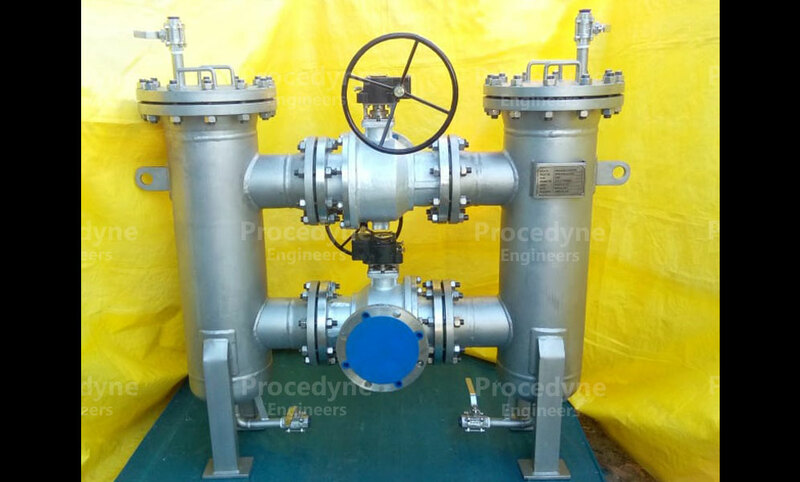 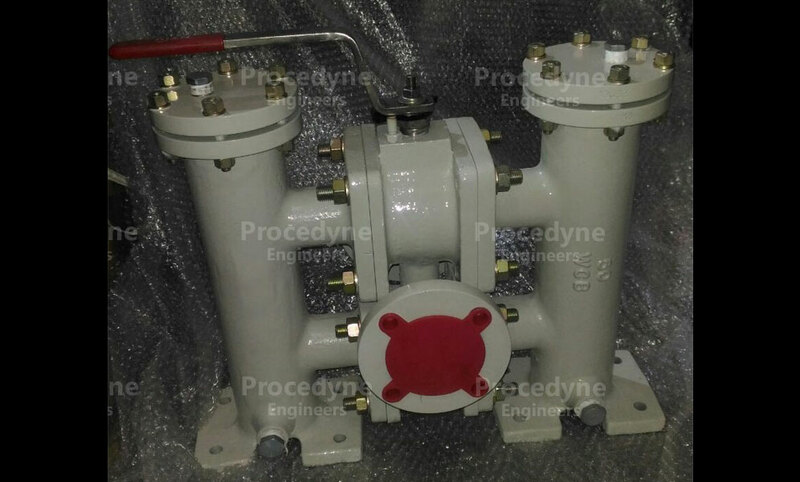 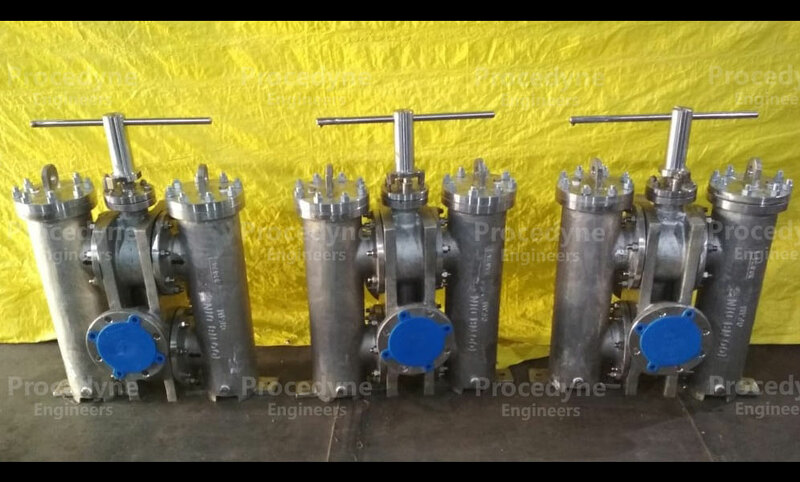 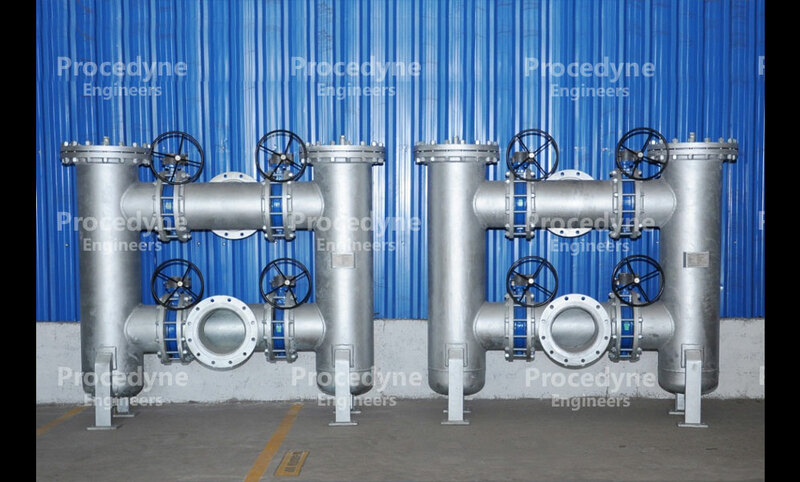 4" Duplex Strainers 150# in Cast Stainless Steel for Phosphoric Acid Solution Application for KOC GC-32 Project, Kuwait. 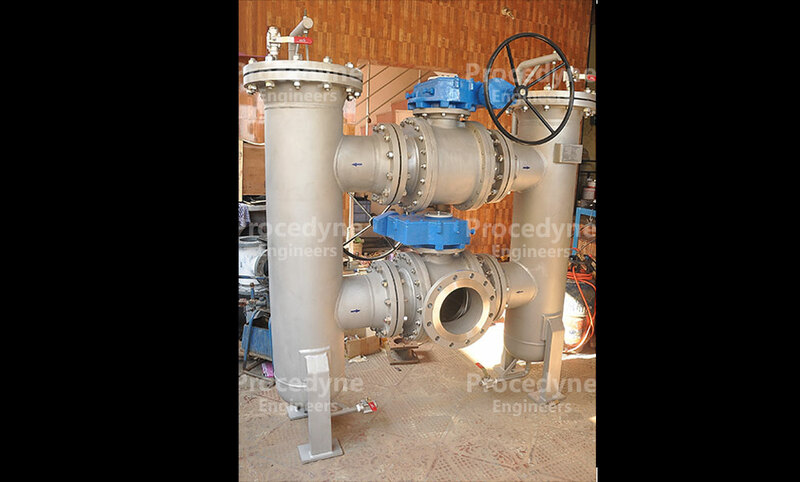 1.5" Duplex Strainer 150# in Carbon Steel with Galvanized for Sea Water Application for Indian Coast Guard. 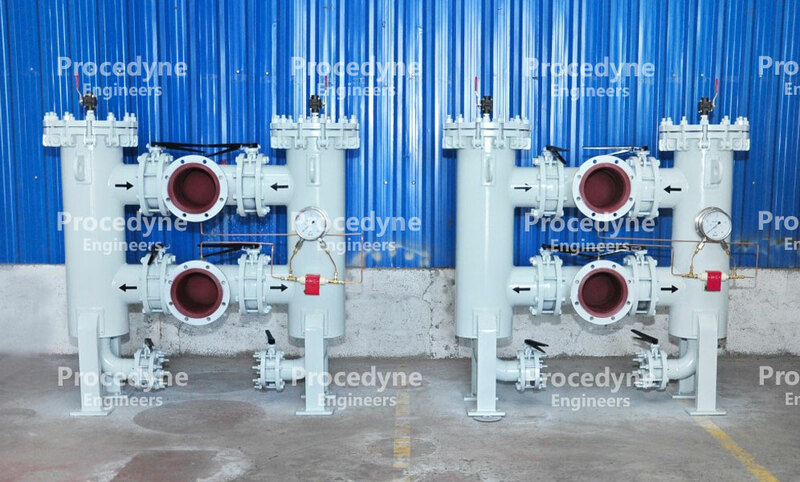 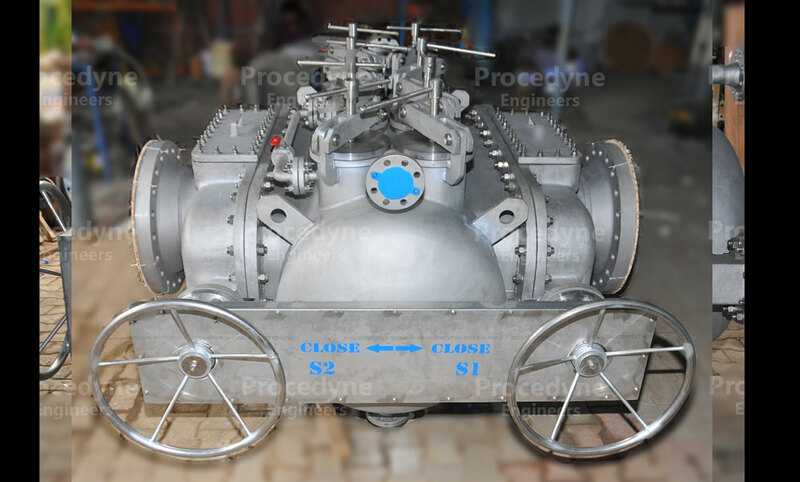 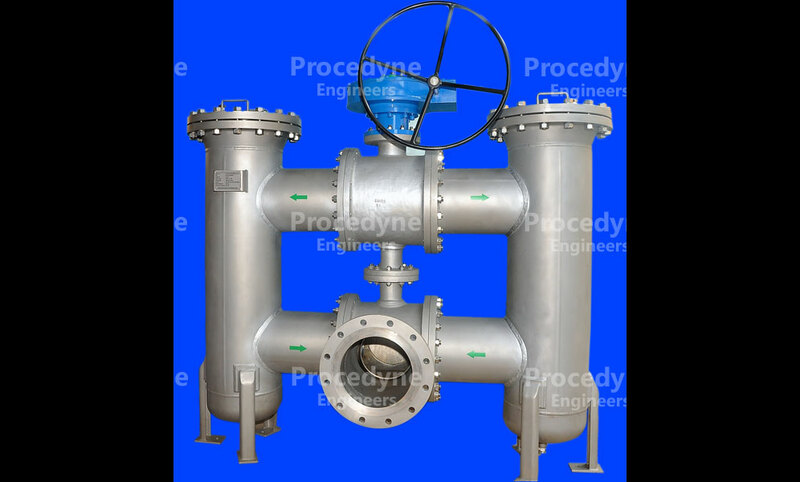 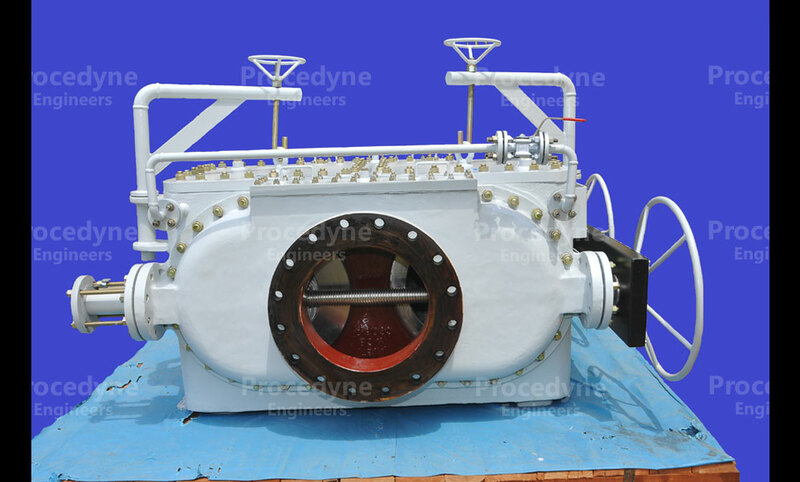 16" Duplex Strainer 150# in Cast Iron for Water Application for Project in Singapore. 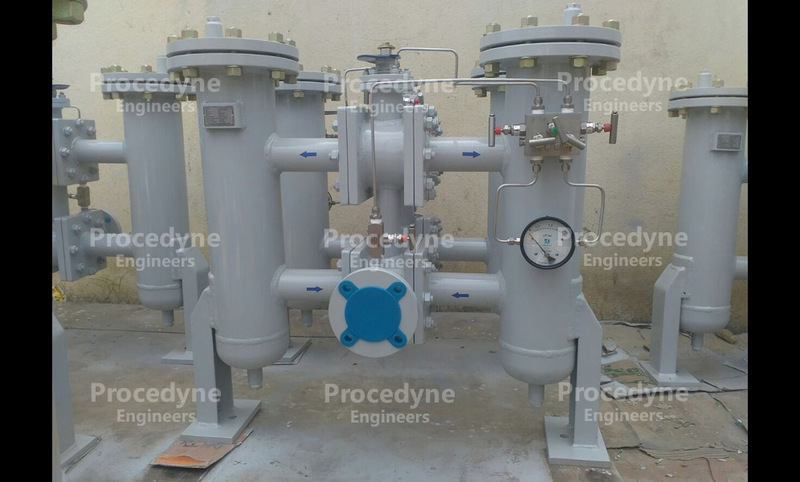 6" Duplex Strainer 150# Sainless Steel for Demin Water Distribution Application for Saudi Electrcity, Saudi Arabia. 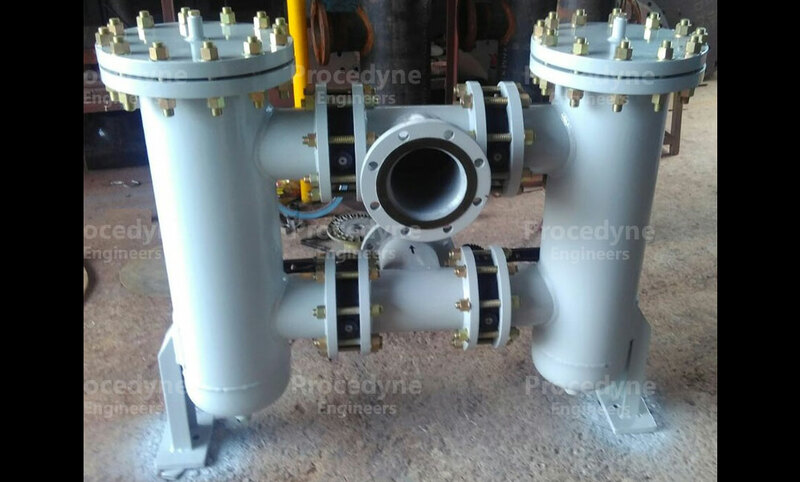 4" Duplex Strainer PN 10 in Cast Iron + Galvanized for Sea Water Application for Indian Coast Guard. 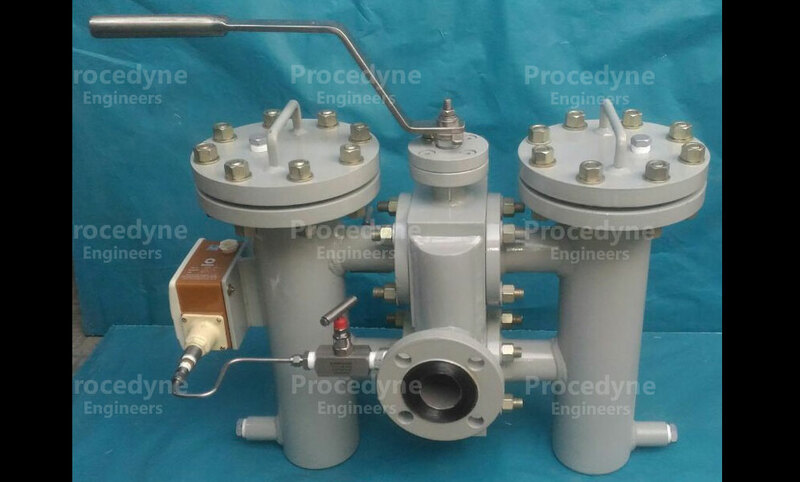 3" x 2" Duplex Strainer 150/4 in Cast Steel for Produced Water Application. 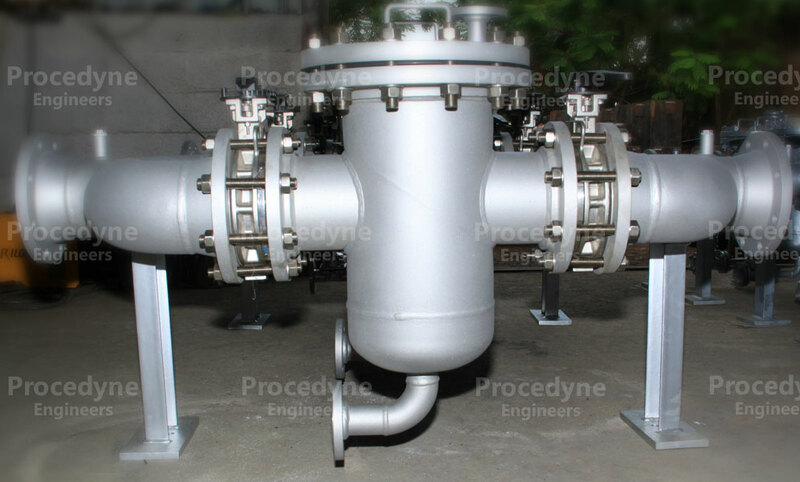 2" Duplex Strainer 150# in Gun Metal for Fresh Water Application for Shipbuilding Project in India. 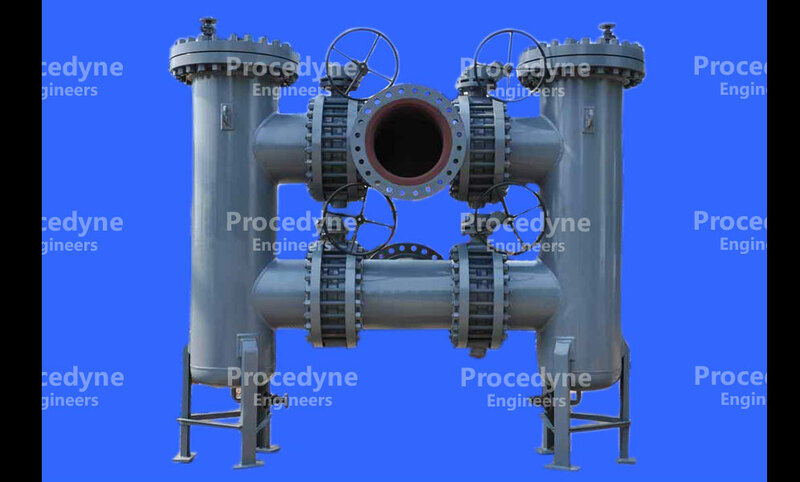 2" Duplex Strainer 150# in Carbon Steel for River Water Application for NTPC Project. 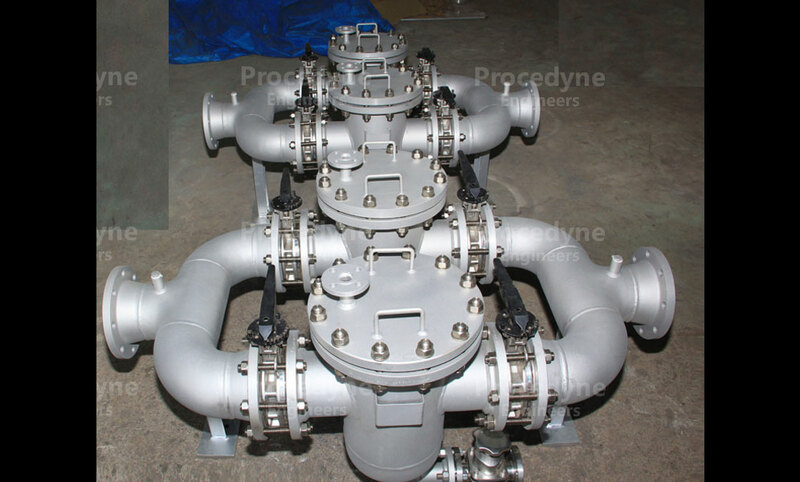 6" Duplex Strainer 150# in Stainless Steel for DM Water Application for Caster Project in India.